Luc ne pouvait toujours pas se consoler du départ de Caliban. Mais de penser aux chats de la liberté le réconfortait. Peut-être, après tout, la révolution de velours avait-elle déjà commencé. Et si les chats n’allaient plus tout seuls? Et si des humains avaient enfin, trahissant clandestinement leur espèce, décidé de les aider? Et si les chats avaient accepté cette alliance? Et si Caliban avait décidé de les rejoindre? Cette idée, telle une mélodie intérieure imperceptible, lui donnait du coeur à l’ouvrage. 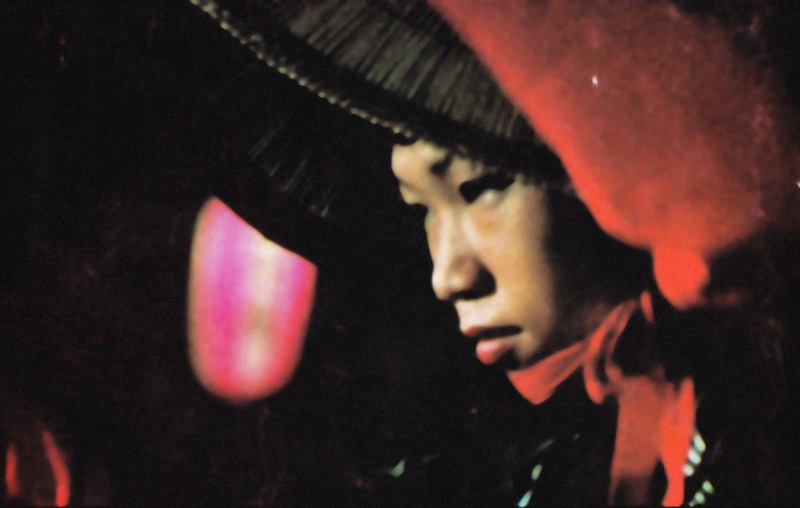 – François Maspero, “LES CHATS DE LA LILBERTÉ,” a story included as a separate booklet in Chats Perchés, un film de Chris Marker (DVD, arte video, 2004). In some respects—not least his ability to be au courant while lost in the past—this legendary, unclassifiable filmmaker is the French analogue to sometime diarist Jonas Mekas. Elaborating on Marker’s interests, The Case of the Grinning Cat is preceded by his whimsical bestiary, composed of five short animal pieces—Cat Listening to Music, An Owl Is an Owl Is an Owl, Zoo Piece, Bullfight in Okinawa, and Slon Tango. The filmmaker, however, is the rarest bird of all. – J. Hoberman, “Cat Power: Chris Marker and his feline friend document post–9-11 France,”, Village Voice, December 12th, 2006. For a summary of the Bestiary shorts, see www.icarusfilms.com/if-bes on Icarus Films’ site. Lest we forget that words, at times, make sense, let us recall the 20 minute portrait film that CM made of François Maspero in 1970, Les Mots ont un sens. You can catch it still, perhaps, at the Vidéothèque de Paris, if it still exists. François Maspero opened a library in the Latin Quarter in 1955, aged 23. He created in 1959, in the middle of the Algerian War, the Maspero publishing house, along with Marie-Thérèse Maugis. They would be joined by Jean-Philippe Bernigaud and Fanchita Gonzalez Batlle, and then by Émile Copfermann. The first two collections, “Cahiers libres” and “Textes à l’appui”, particularly focused on the Algerian War, from an anti-colonialist perspective, and contestation of the French Communist Party’s stalinism. Maspero published Frantz Fanon’s The Wretched of the Earth (1961), censored, with a preface from Jean-Paul Sartre, as well as L’An V de la Révolution algérienne. Maspero published others testimonies concerning Algeria, and the use of torture by the French Army, also censored. Beside being faced with courtsuits, Maspero was also the target of bombings. – Barbara Marciniak, Earth: Pleiadian Keys to the Living Library (Rochester, Vermont: Bear & Company, 1994), 45-46. Czech dissident playwright Václav Havel was a fan of the Velvet Underground, ultimately becoming a friend of Lou Reed. Though some attribute the name of the 1989 “Velvet Revolution”, which ended more than 40 years of Communist rule in Czechoslovakia, to the band, Reed points out that in fact the name Velvet Revolution derives from its peaceful nature—that no one was physically killed (“hurt”) during those events. After Havel’s election as president, first of Czechoslovakia and then the Czech Republic, Reed visited him in Prague. On 16 September 1998, at Havel’s request, Reed performed in the White House at a state dinner in Havel’s honor hosted by President Clinton. Once I was at Slim’s in San Francisco at a John Cale concert and saw Joan Baez sitting at a table with Václav Havel. So, as per usual, we gotta go out of our way to point out that the VU is not synonymous with Lou. John Cale dressed in black velvet in the early days, did he not? He was fond of Ravel (any cat is) but he had a special crush on Mompou. That day (a beautiful sunny day, I remember) I placed Volume I of the complete “Mompou by Mompou” on the CD player to please him.